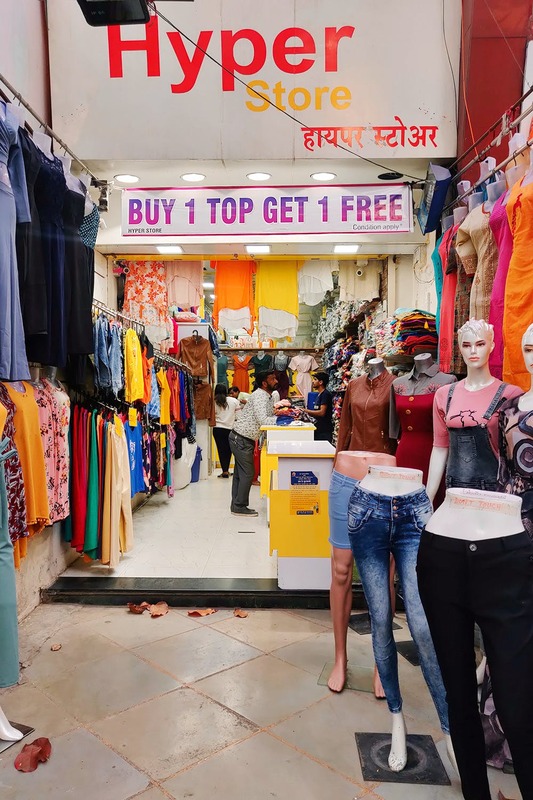 Located right beside Wadeshwar hotel on FC road, Hyper Store is where you should go when you need to shop on a budget. Hyper Store is no different than your average FC road shopping. Except, we love that its brick and mortar, instead of out on the street. Which means it has a trial room, so it obviously gets major brownie points for that. Starting at INR 200 you can pick up tops in a range of colours. At the moment, the collection is dominated by a lot of t-shirts with the usual graphic prints, so you can surely get all summer shopping in as they have a buy one, get one free offer on as well. We liked their printed shorts collection. At INR 200 they were a steal deal and were super light, perfect to wear on a hot day. Orange, grey, beige, cream, blue, purple and more block-coloured palazzos were available at INR 200 as well. You can totally pull them off casually and at work with a cute formal blouse and you’ll be comfortable nine to five. Apart from casuals, you can also pick up full outfits. We loved a pair of green pants with suspenders attached that would go well with a sunny yellow ribbed top. A pair of orange cotton dungaree shorts are also on our wish list. The store also has denim jeggings with racer straps on the side and jumpsuits, which if you accessorise well will easily pass off as evening wear for a social event. For all of these, the price range starts at INR 400. You can also shop for casual and semi-formal dresses here, which start at INR 300 and you’ll get a variety of printed, plain and dresses with minute details like lace sleeves and whatnot. We wish the staff was more friendly and helpful. Shop for the summer from here. You’ll definitely score a few cheap buys from the INR 200 section.